Digital Society: A force for good? | One year, one job. Digital Society: A force for good? I’ve just found out my final Linguistics lecture has been cancelled. Which means I never have another Manchester LEL lecture again. Ever. These past three years in the Manchester LEL department have been quite the experience so it’s a bit weird to find that it’s all ended without me even knowing. 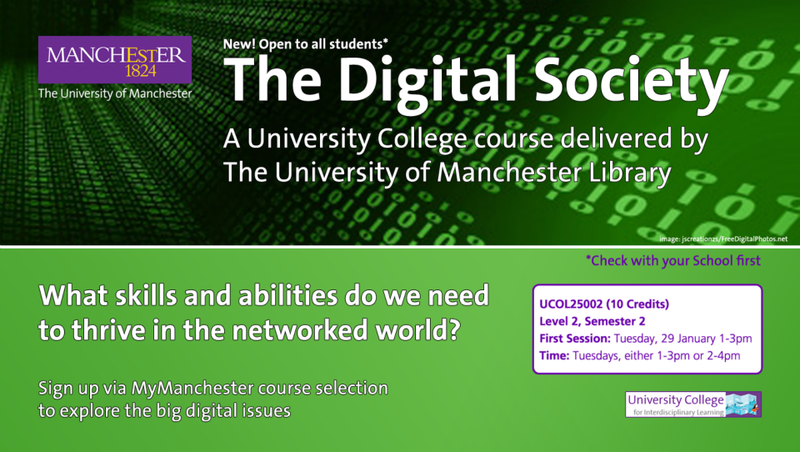 But my time at the University of Manchester is not over yet and it ends properly with my final Digital Society lecture on Tuesday afternoon. We’re ending with a two hour debate on the merits and flaws of ‘The Digital Society’. I’ve been put on the team arguing against the wonders of digital developments which will be pretty fun as it means engaging in arguments I wouldn’t normally agree with. But that’s the fun of debating, right? Anyway, being a digital course and all that, the debate is being live-tweeted and we’re looking to get input from you. Whether you’re hugely passionate about our digital world or you think we could be putting this technology to better use to solve world hunger, we want to hear your views. Up to and during the event we’ll be following any tweets which feature #digisoc so please, please share your views.